Vacation in the “country”….20 minutes from “downtown” Fort Lauderdale, the beaches, casino boats, jai-alai, greyhound and harness tracks, casino, sport fishing and more! Our park has location, location, location! 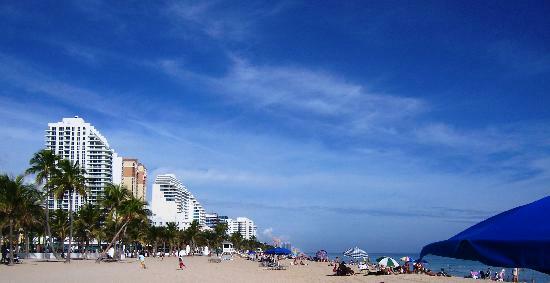 Oh, and we’re an easy day trip to Disney, Miami, and many other beaches in the area! Easy walking distance to restaurants and shopping! Whether you want a convenient pull-thru for the night or a place for the whole winter, come look us over. Kozy Kampers RV park is in the center of everything — but you’d never know it inside the park, because our hundreds of trees make it seem like you’re in the woods! It’s almost a surprise when you step outside and find you’re just minutes from Fort Lauderdale’s finest beaches, marinas, sightseeing and shopping. Come find your place in the sun – or shade! – at Kozy Kampers. You are Welcome Here! In addition to being a great place to stay year round, Kozy Kampers RV Park also offers storage for your RV! If you’re heading home for the summer season, but want to leave your rig behind, Kozy Kampers RV Park offers a secure location to leave your RV while you’re away. And when you’re ready to beat that next winter season, your RV will be ready and waiting for you!